Our newest BridgePathways at Chadron State College came to learn English in the USA to pursue a more opportunistic future. Ever wondered what Denver is like for a visitor? 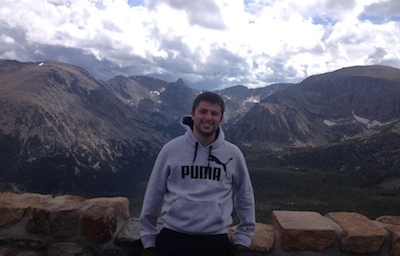 Rodrigo, General English student, tells us about his experience learning English in Denver. Where Should I Study English in the USA? Falling in love with winter in the Centennial State? Be ready for your first breathtaking, adventurous winter in Colorado with this winter vocab list! Nathalie erased her fear of English and turned it something much stronger than she ever could have imagined. Have you ever been given an explanation as to why learning English can be difficult? BridgeEnglish Denver student, Nelson D. has some insight to why learning English is a challenge.